Section 237 must be one of the best known sections of the Town and Country Planning Act 1990, beloved of planning lawyers – as for once we can be useful to our property colleagues. Section 237 of course ensures, after an appropriate amount of detailed lawyering, that development can proceed without risk of injunctions from those whose easements (eg rights of light) or other rights (eg the benefit of restrictive covenants) may be affected. Where a local planning authority acquires an interest in land for planning purposes, or, where it already holds the interest, “appropriates” it for those purposes, interference with those interests or rights gives rise only to compensation rather than any risk of an injunction. – no right on the part of those affected to object or have their grievances considered by an independent body, even though, because compensation is assessed on the basis of dimunition of value of their interest as a result of the interference (which will usually be less than the level of damages or settlement payout they could have secured in lieu of an injunction) the financial implications can be significant. The power is useful in conjunction with use of an authority’s compulsory purchase powers, to ensure that, once land for development has been compulsorily acquired, problems will not arise through third party rights over the land acquired. However, nowadays the power is often used by authorities who are not looking to acquire land in their own right but rather looking to de-risk a development, hand in hand with a developer’s negotiations with those whose rights of light and other rights and easements may be affected – the approach of the courts to rights of light infringements still being difficult to predict (eg recently the Court of Appeal in Ottercroft Limited v Scandia Care Limited and Rahimian). The authority will proceed on the basis of an agreement by the developer to underwrite the authority’s compensation liability and (where the authority does not already have a legal interest in the development site) arrangements for the authority to acquire a freehold or leasehold interest in the development site – usually for a limited period of time and structured to minimise unnecessary risks and SDLT liability, prior to the interference occurs. 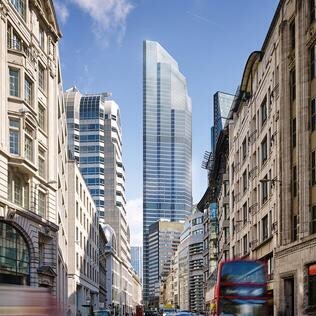 Most recently the Corporation of London’s April 2016 decision to use the power to assist the development of 22 Bishopsgate attracted much publicity, possibly due to the nature of the scheme, which will become the City’s tallest building, rather than anything unusual about the use of section 237. Since 13 July 2016 the section 237 mechanism has been replaced by the similar (but slightly different!) power in Section 203 of the Housing and Planning Act 2016. • the new section expressly limits the power to situations where the development that creates the interference is related to the purposes for which the land was acquired or appropriated (a gloss upon section 237 that had been established by Midtown Limited v City of London Real Property Company Limited ). It is odd that once the decision was taken to update the section 237 procedure, more was not done to resolve the uncertainties that surround its operation, particularly given that by definition its use is usually contentious, being designed to affect the relative negotiating strength of potential litigants. The uncertainties are well described in a 2011 paper by Neil Cameron QC. – ensuring that there is the authority gives reasonable publicity to its decision to rely on the power (so as reduce the risk of a claim for judicial review of the decision being allowed out of time). Care is also needed in determining the structure for granting the authority an appropriate interest, so as to ensure that there can be no complaint about state aid or disposal of land at an undervalue (when the authority is called upon to relinquish its interest). The gnomic drafting of section 203 will continue the debate as to just how much needs to be done in order for the procedure to be legally effective.